(Click2IVR) This initiates a call to external number given, upon receiving, it plays the given IVR (indentified by the hash) and proceeds based on the IVR rules. 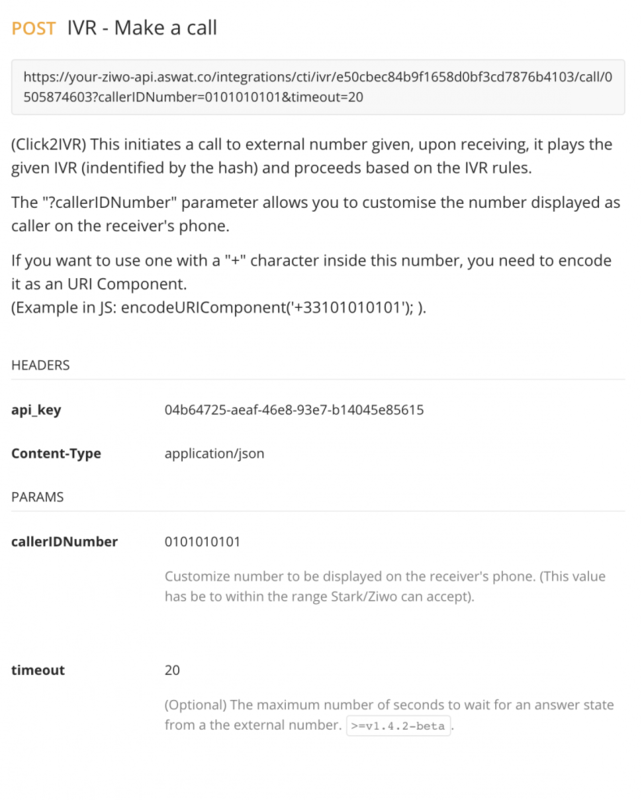 The “?callerIDNumber” parameter allows you to customise the number displayed as caller on the receiver’s phone. If you want to use one with a “+” character inside this number, you need to encode it as an URI Component. (Example in JS: encodeURIComponent(‘+33101010101’); ).